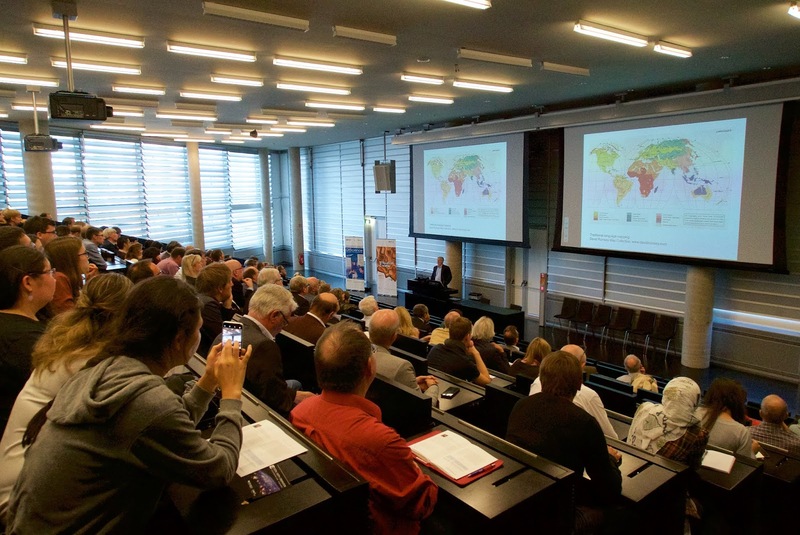 The Interfaculty Department of Geoinformatics - Z_GIS based at the University of Salzburg celebrated its 30th anniversary with two dedicated events, a GIScience Symposium and a Ceremonial Act on October 25, 2018. 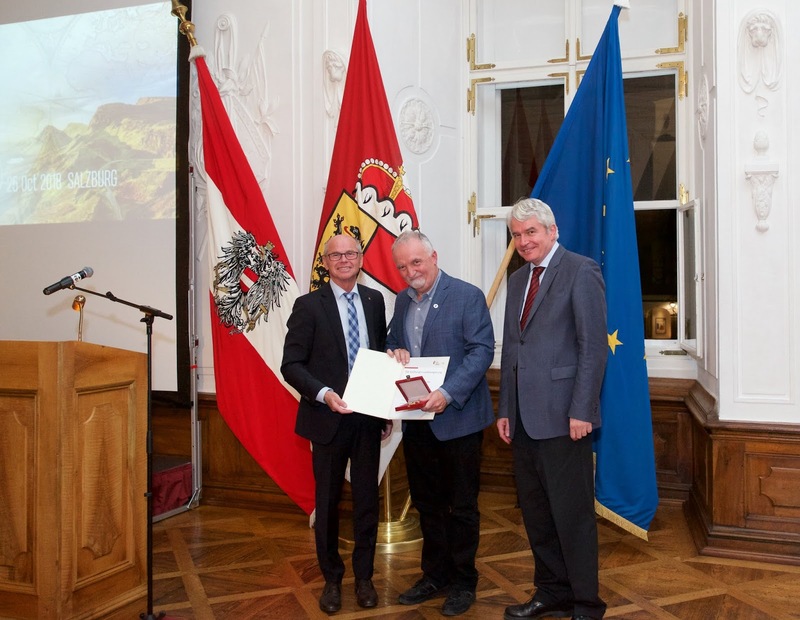 More than 200 participants enjoyed these special occasions supported by the Austrian Academy of Sciences, the University of Salzburg and Land Salzburg. The GIScience Symposium started with an inspirational keynote by Michael F. Goodchild, entitled 'GISCIENCE AND GEOGRAPHY: AN EVOLVING RELATIONSHIP'. This was followed by a veritable firework display of 'geospatial' flashlight presentations on Recent and Future Trends, from GeoAnalytics, Infrastructures, Maps, Education, Mobility, Terrain, Image Classification to Organisations & People by J. Wilson, K. Greve, G. Gartner, A. Car, St. Kollarits, G.Tang, M. Belgiu, and J. Petch. The Ceremonial Act at the Salzburg Residenz highlighted Z_GIS' and Prof. Josef Strobl's achievements, the latter honoured by Prof. Thomas Blaschke in a laudatio, followed by personal video messages from national and international partners and institutions. Prof Strobl was awarded the distinction 'Ehrenzeichen des Landes' in the course of this celebration. 'This day was an opportunity to reflect on and also enjoy the successes achieved through numerous outcomes from projects, from developing institutional and personal networks, and professional cooperation as well as communication. 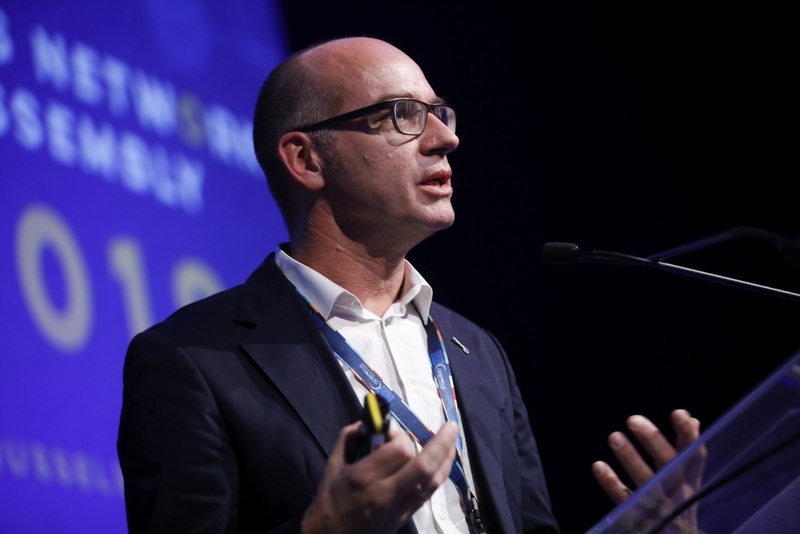 I hope that the recognition of Z_GIS‘ institutional standing expressed by PLUS and Salzburg leadership also serves as a motivation to continue with our ambitions and plans, and to keep building upon our achievements' , stated Sepp Strobl. 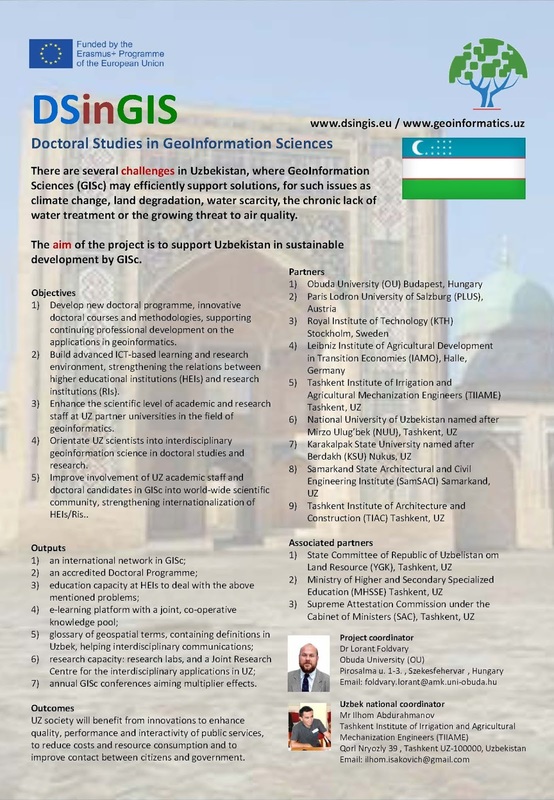 The DSinGIS project, coordinated by Obuda University supports Uzbekistan in sustainable development of GIScience education and is aiming to develop a new doctoral programme in Geoinformation Sciences. From 2018 Oct 15 – 19, Z_GIS as project partner, conducted a five day workshop on learning support methodologies at the National Uzbek University in Tashkent. The 25 participants not only learned about different eLearning approaches, methods and tools, but they also gained experience using ArcGIS online StoryMaps and the elearning platform Moodle. At the Copernicus-related multi-event at Brussel’s prestigious Docks Dome venue (9-11 October 2018), Z_GIS presented its broad range of Copernicus-related activities. Passing all relevant milestones during the week, the Copernicus Ecosystem workshop, the Copernicus Academy/Relays General Assembly, and the joint Kick-off meetings of two projects funded under the H2020 SPACE “Copernicus Hub” call, Z_GIS, represented by Dr Stefan Lang, used this unique opportunity to network with relevant peer actors and stakeholders and showcase our contributions to the Copernicus Academy via the CopHub.AC project. 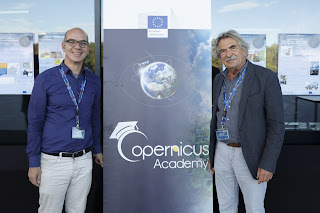 Peter Zeil from Spatial Services Ltd, one of the ‘fathers’ of the Academy, co-moderated a workshop on skills and training perspectives arising from new Copernicus businesses. GeoServices-4-Sustainability (GeoS4S), an ERASMUS+ project, co-funded by the European Commission is completing its duration after 3 years covering the period from 15 October 2015 to 14 October, 2018. The last months have been quite busy for the consortium members due to a number of concluding and dissemination events being organised at different locations. The concluding meeting of the GeoS4S project was conducted from 10th to 12th September, 2018 at King Mongkut's University of Technology, Thornburi, Thailand. The consortium members summarised their contributions and shared their experiences as well as envisioned the paths of future collaborations. It was followed by GeoS4S Dissemination Conference-2 on 13-14 September at the Asian Institute of Technology, Pathumthani, Thailand. About 60 academics, researchers and decision makers from 26 universities in Austria, China, Czech Republic, Germany, India, Indonesia, Malaysia, Netherlands, Vietnam, Sri Lanka and Thailand participated in the GeoS4S-DC-2. The GeoS4S consortium members introduced Teaching-Learning materials for the 20 modules developed within the project, integrated in an ePlatform for free and open access worldwide. The participants from other universities presented the study programmes related to Geospatial education at their respective universities and assessed that how can they potentially benefit from the outcomes of GeoS4S project. Further to this, the GeoS4S Dissemination Conference-3 was organised at the School of Resource and Environmental Sciences, Wuhan University, Wuhan, China on September 19th and 20th. It attracted about 50 participants from 42 universities in Austria, China, Netherlands and Thailand. After the presentation of Teaching-Learning materials by GeoS4S consortium members and study programmes offered by different universities, the conference concluded with a round-table session. The discussion was largely focussed on how university level students at various universities in China could benefit from the Teaching-Learning materials of GeoS4S modules. It was clarified that all materials will be integrated in an ePlatform for free and open access worldwide. 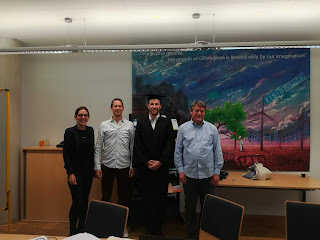 For this 3-year ERASMUS+ project 'GeoS4S' the Interfaculty Department of Geoinformatics - Z_GIS of the University of Salzburg, Austria served as coordinator of a consortium of 10 universities from Austria, Czech Republic, Germany, China and Thailand. The GeoS4S Consortium is pleased to disseminate the Teaching-Learning materials of 20 innovative modules on a Moodle Cloud Platfrom benefitting Geospatial teachers and learners around the world! 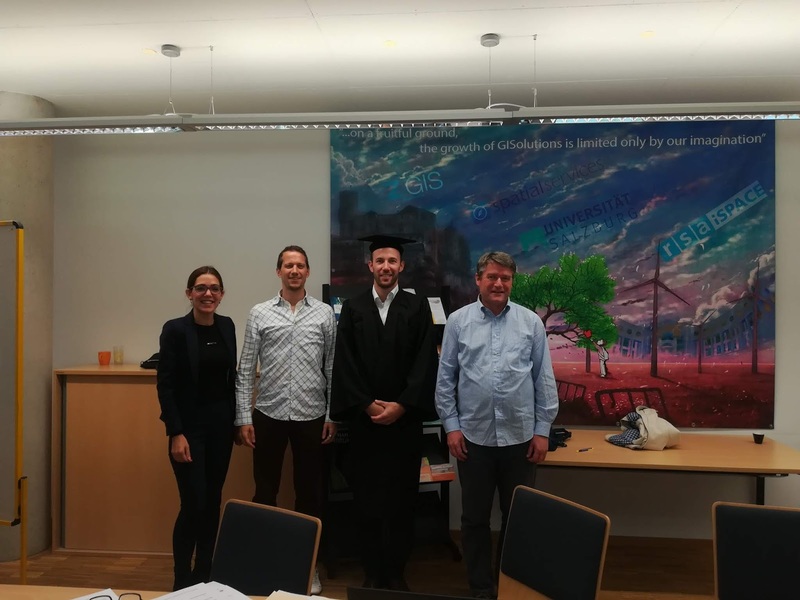 Philip Glasner successfully defended his PhD Thesis “Spatial and temporal analysis of crime and the impact of rhythmic cycles to predict future crime locations: Studies from the city of Vienna, Austria” within the Doctoral College “GIScience” at the University of Salzburg. Based at the Department of Geoinformatics – Z_GIS and supervised by Prof. Michael Leitner who’s primer affiliation is with Louisiana State University, USA and GIS industry, Philip Glasner developed algorithms and methods to predict where crimes such as burglaries are likely to happen next or again. He started from existing methods in predictive crime mapping and advanced methods for series events or near repeat victimization including hotspot techniques utilizing retrospective data. As a result, predictions where crime is more likely to occur based on past patterns of crime could be improved. In particular, repeated and near repeated patterns of street robberies in the city of Vienna were continuously analyzed in order to forecast where street robberies are more likely to occur. In addition, temporally imprecise crime events were reviewed and a new method was discussed to overcome limitations to exclude temporally imprecise data in spatiotemporal pattern analysis such as repeat and near repeat victimization. The results of this thesis suggest that there is considerable potential for law enforcement in the city of Vienna to employ concepts of predictive policing to forecast future crime events. Based on the findings, law enforcement agencies can optimize tactical and strategical planning of police resources in combating crime. We wish Philip all the best for his future career.